So true! They could be safe in sanctuary. This move was so wrong! Tragic. They will have such a much better life at OKC Zoo! The key to their happiness is their social welfare. 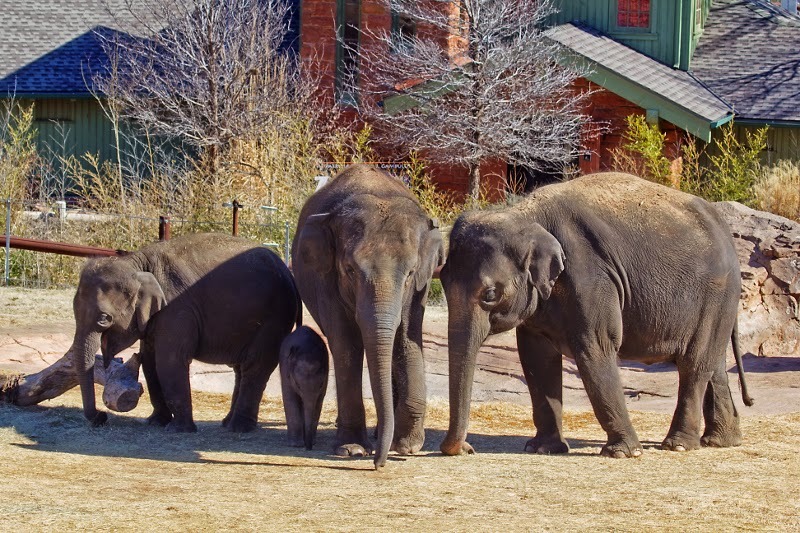 The thing that provides the best for their social welfare is a family and OKC Zoo has the best family for them that most closely mimics a real herd in the wild. It is so great that you guys obviously care about the elephants, but please know that the zoos and keepers on both ends only have what is best for Chai & Bamboo in mind. No, they wouldn't have been safe and healthy at the sanctuaries. They weren't set up to deal with older elephants, and one (or was it both?) has elephants with TB. So what you're saying is that you don't know the facts, but you just KNOW they wouldn't be safe and healthy at sanctuaries? That's convincing. So what you're saying is that you don't know the facts but you just KNOW they wouldn't be safe and healthy at a zoo? Because it sounds like SJSiff knows at least a few facts. Some well meaning people don't realize that zoos and sanctuaries can be very similar. Like any organization, some zoos and even some sanctuaries can be bad, but most modern, reputable zoos like Oklahoma City will provide exceptional emotional and physical care of their animals. The elephants would have had to travel anyway, so why not send them to the place that experts who have dedicated their lives to these elephants and truly love them like family, think is the best place for them? Most zoos are non-profit, so any money made from admissions goes to taking care of the animals in the zoo and in the wild. Think of it as a self-sustaining sanctuary which is not dependent on the generosity of donations. Zookeepers don't make much money, but we do it because we love the animals. We will fight for the best care for our animals. We want them to be happy and lead the best lives possible. Please don't judge zoos by footage from 50 years ago or things you may have heard 2nd hand. Learn what good zoos can do.We're saving habitat in the wild and teaching kids how to save the wild for future generations. 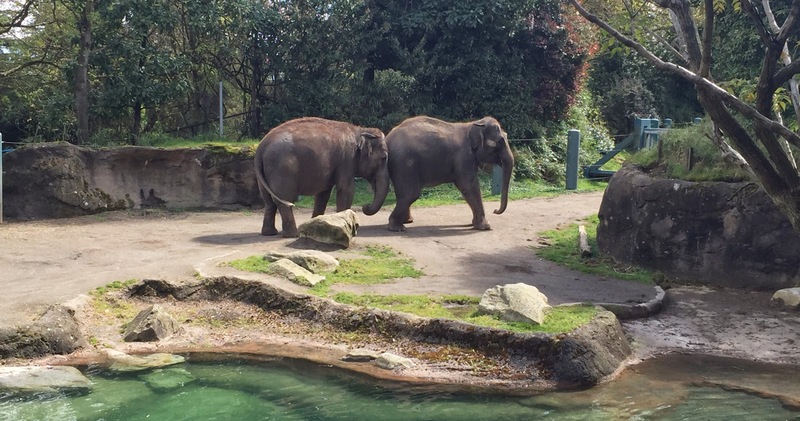 Please check out the footage from this week at the Oregon Zoo where the local TV station has an expose on the horrific zoo abuse endured by their elephants. This is today, not 50 years ago. KOIN 6 is the channel. A four part series. We ARE learning what zoos can do and we are horrified. Travel and suffering? Traveling, yes; but suffering? Can you back that up with some facts? Nope, she can't because they weren't suffering. The team stopped every 3 hours to check on them face to face while monitoring them the entire time with live video feed. They may have felt some stress not knowing what was going on, but the video of them exploring shows they are in good spirits! Please send anonymous comments below. One lists many points of suffering. Read and learn. None are old they are all too current. I for one will never contribute a dime of my moneys to greedy zoos when it can go to true caretakers of elephants in the wild. Do you think it is normal for an Ellie to stand in closed quarters for 30 hours while moving in a vehicle. Is it normal for an Ellie to have a chain aaround it's ankle. I can assure you it wasn't born that way. Get informed about the true atrocities that goes on in zoos. All so "our future generations " can see an exotic animal? NO there is TV internet movies Nat Geo and travel. Please no more lame excuses. I hope we continue to get updates from OK. I'm glad things are going well so far. The donations to conservation sound good. Just wondering: how much money does the zoo provide per year to anti-poaching in Tanzania and habitat protection in Borneo? Keith if you'd like to make donations, I encourage you to donate directly to the groups that keep the animals in the wild and not in zoos. Why not check out In Defense of Animals, Save The Elephants, and the David Sheldrick Wildlife Trust. These groups are doing excellent work. Also WildAid. There are so many. Giving to zoos will not help like giving to these organizations will. Please do give. The animals need our help desperately. It is really wonderful and amazing that the girls seem to have arrived without even any stiffness in their limbs, Bamboo making happy noises, and both eating and exploring well. I love how the keepers have described that they will do the integration with the herd after the standard quarantine period on "elephant time" (rather than rushing it). It is both the professional and the loving approach- exactly what our precious elephant girls deserve. We love you, Chai and Bamboo! Here are some data points for those who wondered about Chai and Bamboo suffering. This information is readily available and not a mystery..
First, elephants need 5-20 miles of walking per day. This is not possible when confined in a truck for 30 hours. Elephants in zoos suffer from many foot problems and from arthritis due to such limited acreage. This is painful and debilitating and leads to early death. Second, elephants are intensely social animals. Elephants in the wild would never, ever leave their herds by foot and certainly not by truck to join new families. This is stressful and painful. Third, animals in zoo are subjected to breeding programs. Chai was artificially inseminated at least 112 times. This is intrusive and stressful and painful. 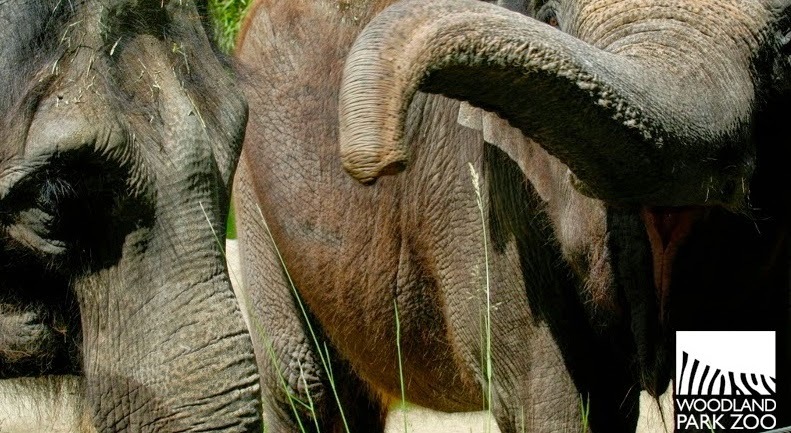 Regarding TB, Woodland Park Zoo knowingly sent their beloved "girl" on loan to a zoo for breeding knowing that the elephants at that zoo had been exposed to TB. Breeding purposes trumped TB fears; only for sanctuary was TB cited as a concern. So an elephant was sent on a long journey to yet another "home" and exposed to TB. Well-meaning people know the difference between zoos and sanctuaries and that is why the many well-meaning people of Seattle brought lawsuits against Woodland Park Zoo, why the mayor spoke out, and why the Seattle Time spoke so eloquently about the plight of Chai and Bamboo and their tragic loss of sanctuary. That is suffering too, for them, and for us, those well-meaning people. NewsOK had some additional footage yesterday of Chai and Bamboo exploring their temporary outdoor space the morning after arrival, both looking agile and curious, their travel cuffs not yet off but to be removed that afternoon. There is also adorable footage of the two little ones they will soon meet, Malee and Achara. While our big girls are in the temporary quarantine typical for recently arrived animals, It seems they have already gotten a good look at Rex, the male elephant. I wonder if they can already smell that two of their new family are a baby and a toddler. I am sure the trip itself was tiring all around, but that's it now for elephant road trips!!! We love you, Chai and Bamboo! The Oklahoma City Zoo is NOT a sanctuary. Sanctuaries allow ELEPHANTS TO BE ELEPHANTS. They are not asked to balance a foot on a red ball or curl their trunk for a kindergarten class. Both PAWS and TES (actual sanctuaries) did offer permanent homes for Chai and Bamboo to live the remainder of their lives in peace. That was denied for them. Now they will have an even reduced amount of space per ellie in this zoo than they had at the Woodland Park Zoo in Seattle. Elephants have evolved to walking sometimes miles a day when in the wild. This exercise is needed for physical as well as emotional well being. Both Chai and Bamboo already have arthritis and foot disease (from the one acre enclosure they were held in at the WPZ) which is the leading cause of death in captive elephants. Watato, the elephant they resided with, prematurely died of this same disease last August, thus causing the closure of the exhibit at WPZ and subsequent move of Chai and Bamboo. Enclosed small spaces for Chai and Bamboo will likely cause continued neurotic and repetitive behaviors as they cope with depression, trauma, and boredom. Captivity endangers the spirit and disrupts the behavior of any sentient being, whatever "nation".. Elephants (and other sentient beings) have a wisdom far beyond our comprehension at this time. The minimum we can do is respect their lives. The elephant enclosure at OKC zoo is 9.5 acres. wow excellent comments. Thanks Diane Leyden and Anon. Elephants so clearly should not be held captive in zoos. At least WPZ closed their exhibit, thank God for, that, though it purposefully missed out on a wonderful opportunity to let these magnificent elephants live out their lives in peace in a sanctuary. I know the tide of public opinion is changing, and places like zoos and SeaWorld are being dragged kicking and screaming to a more human future. At least that is my hope and one shared by 1000s. oops a typo in my last post, "Zoos and SeaWorld are being dragged kicking and screaming to a more HUMANE future ....!